مگر ایک پاکستانی شهری دو حلقوں میں ووٹ نهیں ڈال سکتا. یا کوئی بھی عهده حاصل کرسکتا هے. پاکستانی سیاستدان فنانس منسٹر بن سکتاهے چاهے وه انگوٹھا چھاپ هی کیوں نه هو. بھی ایسا کوئی قانون نهیں جو اسے وزیر تعلیم بننے سے روک سکے اور…..
هوں وه تمام قانون نافذ کرنیوالے اداروں کا وزیر داخله بن کر سربراه بن سکتا هے. زیاده آگاهی کیلیئے اس پیغام کو دوسروں تک پهنچانے میں تعاون کریں.همیں درحقیقت اس نظام کو بدلنے کی ضرورت هے. 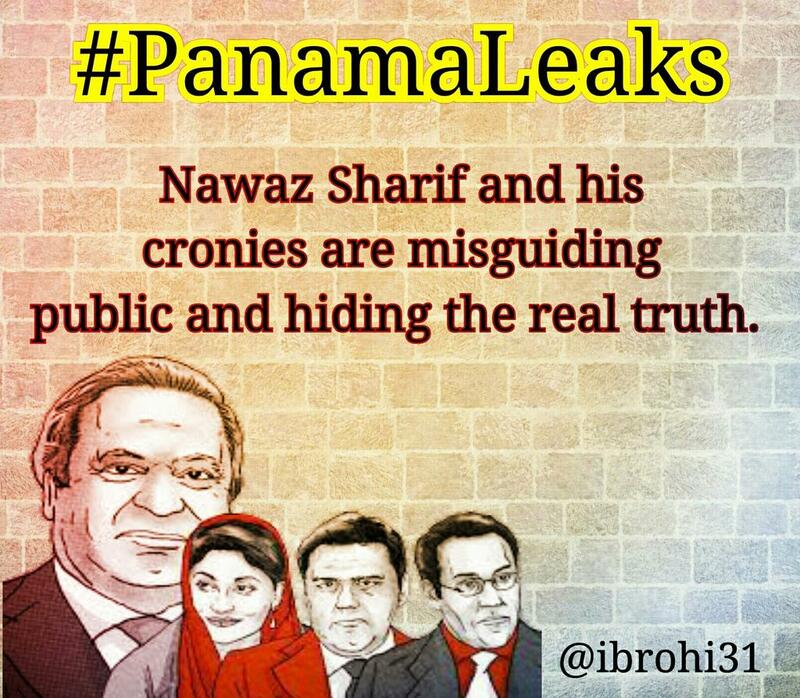 Political Family Mafia’s in Pakistan are loyal to whomever pays the top dollars for their services. Men and women of these families are political prostitutes, who sell their soul to whichever devil, fills their bank accounts and increases their power base.Many foreign nations of both East and West are their keepers and Protectors.. Their names are familiar to every Pakistani, but due to their immense wealth and political power, these virulent predators of Pakistan’s economy cannot be touche. The hatred of the West in Pakistan is the direct result of Western nations using and feed Pakistan’s home grown predator sharks. Another fall-out of the unbridled Western support of Pakistan’s Status Quo Elites,is the rampant growth of terror outfits in Pakistan’s most economically deprived regions:FATA,Southern Punjab, and Balochistan (remotely controlled by India-Israel Funded Mossad and RAW directed BLA Movement.) Tribal Sardars in Balochistan and FATA are masquerading as democrats and freedom fighters. Many of the Baloch Sardars live luxurious lives in Switzerland, England, and the United States; from where they carry out their subversive activities via surrogate agents. Today, an honest, brave and charismatic Pakistani visionary named Imran Khan has challenged their domain.They are now out to destroy him and the masses of ordinary Pakistanis, who follow him.God Forbid, if these families succeed in their nefarious designs, the blowback would be their own destruction at the hands of nearly two million Pakistanis and their 750,000 soldiers in Pakistan Army,Navy, and Airforce. One of the major causes of backwardness in Pakistan is the curse of mafia-based political families, who have a choke hold on Pakistan’s economy. These families are not only corrupt, but also, they have a svengali grip on Pakistan’s economy. Over 120 million people Pakistan are are direct victims of the these economic nazis. The number runs into a few thousand people, but they have suppressed, a nation 200 million. Here is a list of these political cancerous lesion on Pakistan’s body politics. 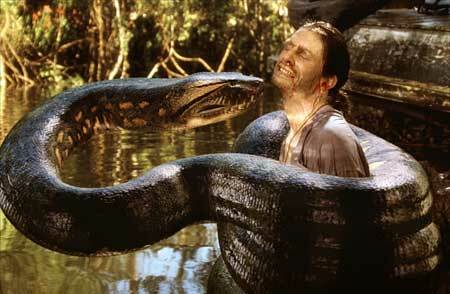 These wealthy families are blood sucking vampires and leeches sucking the life’s blood from the nation. Their children study in elite universities in UK, US, and Australia. Their children are also hypocrites (munafiqs), when they act as being advocates of down-trodden. Common Pakistanis,even with their cumulative life time earnings cannot dream of sending their children to Harvard,Yale,MIT,Oxford,Cambridge,Swarthmore,Stanford, University of California,Berkeley. They get their early education in colonialist founded, elitist institutions like Aitchison College Lahore, Cadet College, Petaro, and a host of English-medium schools. The members of Zardari family (Urdu: خاندان زرداری), in politics:This family of Sindhi Waderas stole Bambino Cinema from their partner from Punjab, who died lamenting his loss.Asif Zardari, the second most corrupt man in Pakistan. Nasir Schon is CEO of Schon Group which owns Pak-China Fertizilers, Schon Bank, Schon Textiles and several other empires. He lives in Dubai, UAE where he is currently working on a $830-million worth project. Saddaruddin Hashwani is Pakistan industrialist and investor. He ranked 6th on our list of top 10 richest persons of Pakistan He is chairman of Hasho Group, one of the leading industrial group of Pakistan. Hasho Group has share in Marriott and Pearl Continental Hotels which are Pakistan’s most luxurious hotels. 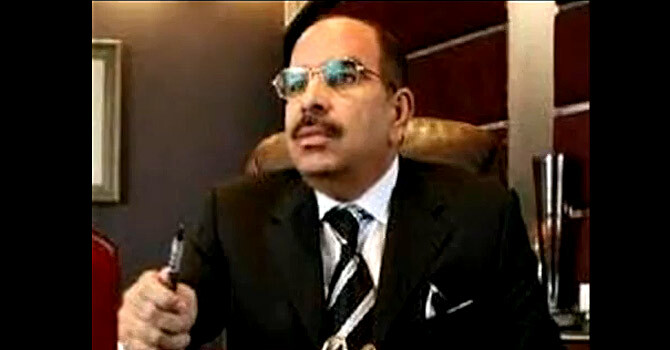 Malik Riaz – YouTube Video grabEarly Life: Malik Riaz Hussain was born on February 8, 1954 in Islamabad, Pakistan. Many people believe that Malik Riaz Hussain was born with a silver spoon in his mouth; however, the statement is only partially true for him. He was born into a wealthy family but his father’s business collapsed which forced him to start working as a clerical staff at the age of 19.Twelfth Richest Man of Pakistan: He started off as a small time contractor in 1980s; however, the details on how Hussain, from an ordinary clerk in Military Engineering Service (MES) climbed up the ladder of success and became one of the biggest business magnates of Pakistan are extremely sketchy. All the country knows is that he is the man behind Bahria Town, one of the largest private development projects to have materialised in Southeast Asian region.Bahria town, which spans over an area of 45,000 square acres, along with its owner invited many speculations and controversies since the time of its construction. Controversies and allegations: The recent round of controversies which accuses Chief Justice’s son Arsalan Iftikhar to have accepted bribes amounting up to Rs400 million from him, is not the only controversy which mars his credibility. National Accountability Bureau (NAB) is currently looking into another application filed by a former military officer Lt-Col (retd) Tariq Kamal, which states that the land on which Bahria town is constructed, and is further expanding, was not acquired through legal means. It is alleged that Hussain has strong ties with Pakistan’s military which assisted him in building a huge empire. Some claims go as far as saying that a handful of the important serving army officers, bureaucrats and lawyers are practically on Hussian’s payroll. According to the sources and reports, Hussain with the help of Defence Housing Authority (DHA) had grabbed Rs62 billion worth of land from an estimated number of 150,000 people belonging to lower and lower middle income group. It is also alleged that Malik Riaz, in collaboration with DHA, had grabbed an area of the land of Dadhocha Dam and resold it multiple times under different names. It is alleged that the DHA Islamabad has been receiving money in the name of allotment of plots in DHA Phase I Extension, DHA Phase II Extension and DHA Valley since 2009. Those who got cheated through the DHA Valley project include 110,000 civilians, 41,000 serving and retired military officers, jawans and families of martyrs. Total land in question is considered to be covering 165,000 kanals. DHA and Hussain are also allegedly accused for keeping the people, who paid for the plots, in dark regarding DHA’s agreement with Bahria Town. Col Tariq said that in 2009 the DHA had “transferred all the funds raised from the public, which were Rs62 billion, to the accounts of Bahria Town”. It is also alleged that DHA employee who voiced their concerns regarding the dubious transactions and exchange of funds were sacked immediately. It is assumed that the reason why Hussain was bribing Arsalan Iftikhar and financing his trips to London was to gain influence into the judicial circle and buy the verdict of the charges levelled against him. Arsalan Iftikhar blatantly denied the allegations; however, various witnesses testified during the hearing of the suo moto action and admitted that Hussain had shown them the documents which proved Iftikhar’s involvement in the scam.